Student of the Month Ryley Blomberg, is an Mississippi Excellence in Teaching Program fellow hailing from Belleville, Illinois. Blomberg spent her summer as a teaching assistant with the Sunflower County Freedom Project—an academic program for students in the Mississippi Delta. 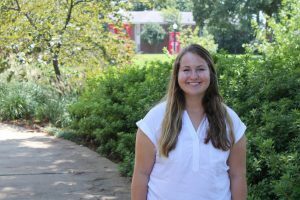 The senior, math education major recently took some time out of her busy student teaching schedule to tell us about her summer experience and more. How was working with the Sunflower County Freedom Project this summer? It was so inspiring and I loved all of the students. This experience motivated me to be a better teacher. Students notice if their teachers don’t care about them, and this whole summer I was reminded of that. I would love to go back and teach in the Delta. So, when did you know that you wanted to pursue education as a career? I think I’ve always known that I wanted to be a teacher. When I was a kid, we had a chalkboard in our basement and I would play teacher with my friends. Both of my parents are teachers. By the time I started high school, I was thinking about doing something different; something other than the family job. But by my senior year of high school, I was still dead set on teaching. I think I always knew. 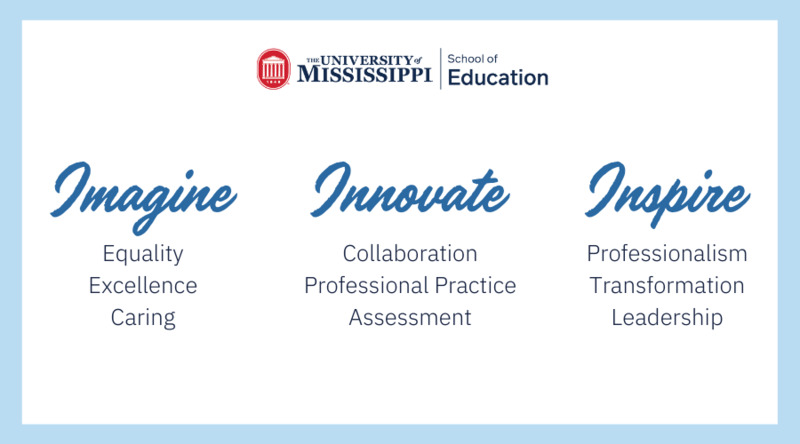 What do you enjoy most about being in METP? It’s hard to pick my favorite aspect of METP; I’m torn between the opportunities METP provides, and the relationships you build in the program. When I think about my time in METP, the first thing that comes to mind is my cohort, we’re going into our fourth year together. We’re all so close and they’ve truly become my best friends. Having that support, collaboration and connection is great and so is knowing that we’ll still have that support system within our cohort when we start teaching . It’s reassuring to know that you’re not going to be in it alone and someone will always have your back. My philosophy toward teaching is that I’m a facilitator of learning. I want my students to learn, comprehend, understand and be able to apply knowledge. I don’t want them to memorize or copy notes and look over notes right before a quiz. I want them to actually learn the material. As a teacher, I want to design activities to help my students actually learn. I don’t want to stand up in front of the class and give notes on a chalkboard—that’s just transferring knowledge. I want to facilitate my students’ comprehension and learning. So, what’s your dream job? I would love to be a college professor in a school of education somewhere, teaching students who want to be teachers. That’s a big dream of mine. Tell us about your student teaching. As a student teacher, I get to discover who I want to be as a teacher in the future. Student teaching is the perfect time to feel things out. You get to figure out who you are as a teacher, what you like to do in the classroom, what works and doesn’t work for you, and figure out your teaching style. I think by the end of the year I will feel confident in who I am as a teacher and what I want to accomplish.